CoEx Master™ Systems upgrade virtually any twin-screw extruder into a production line for high-value breakfast cereals with a centre-filling. 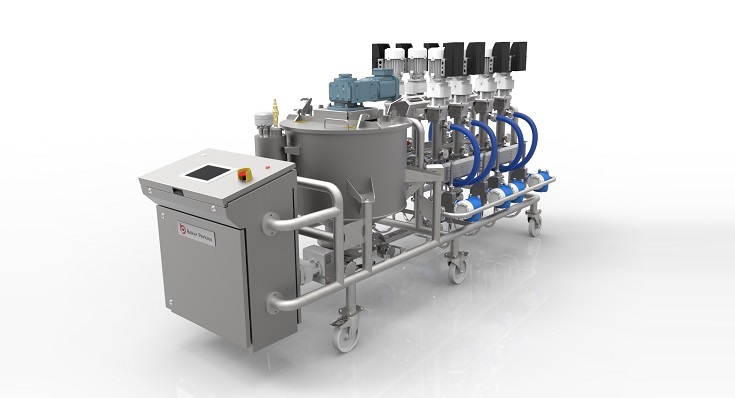 This advanced process technology is simple to install and run. It generates a high rate of return, especially when manufacturers make full use of its potential for exciting and innovative products. 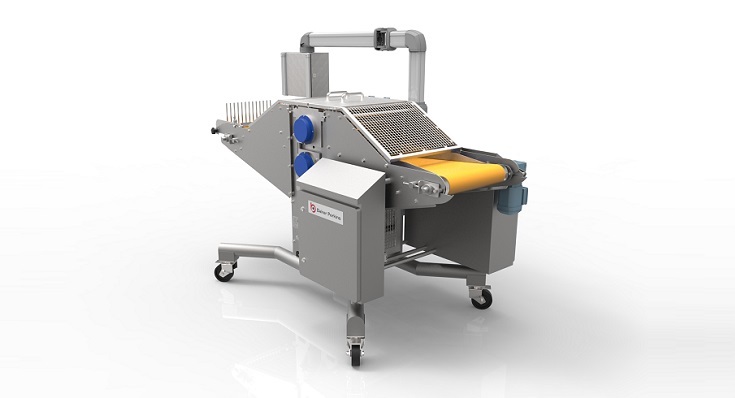 CoEx Master™ System consists of a co-extrusion die, cream feed, and pillow-crimper. 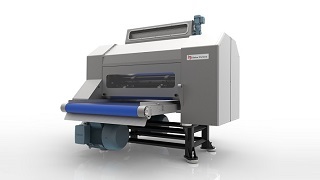 This can be part of a new line, or a straightforward upgrade to an existing extrusion line. 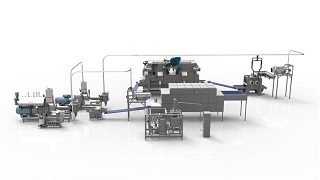 It enables the line to produce a wide variety of high-value products with minimal equipment and without extensive plant modifications. A low-cost extrusion and an innovative premium filling creates a high added-value product. The range of ingredient combinations allows them to be marketed as anything from treats for children to luxury products for adults. They can be positioned in the market as either indulgent or healthy. Fillings are usually a low-moisture cream such as chocolate or praline or a low-moisture fruit paste. 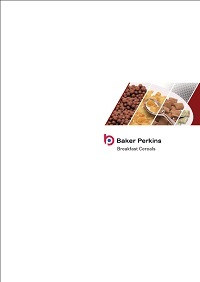 An almost endless range of products can be created using the wide array of cereals and textures from the extruder. 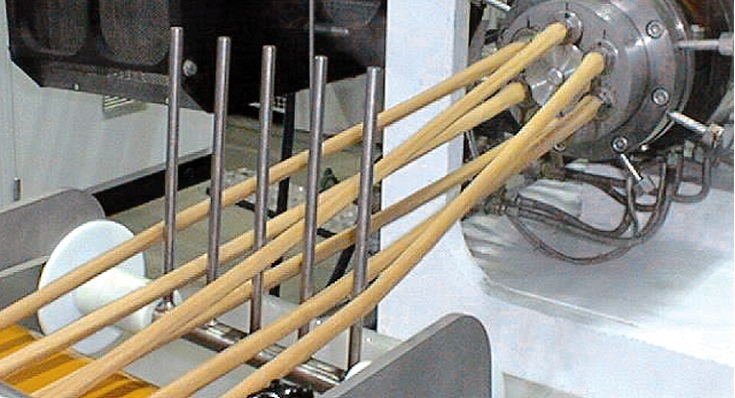 Double or triple extrusions and a variety of shape options including bite size pieces, tubes, wafers and bars are possible. 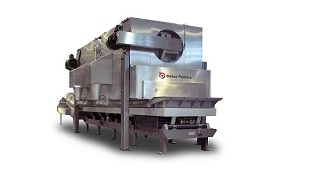 Rapid set-up and excellent access for cleaning minimize downtime and waste from each production run. 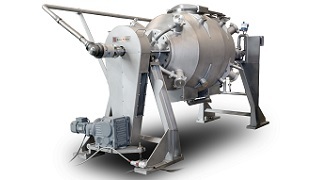 Waste is further reduced by the ability to maintain weight control and product quality through individual adjustment of the streams extruded at the die, and cream flow at the pumps. 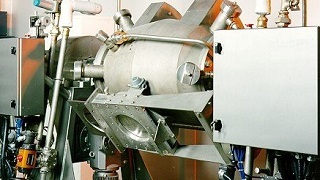 This unit stores and supplies cream to the co-extrusion die. The storage vessel is fitted with a heating jacket and stirrer to keep the centre-filling material ready for pumping. 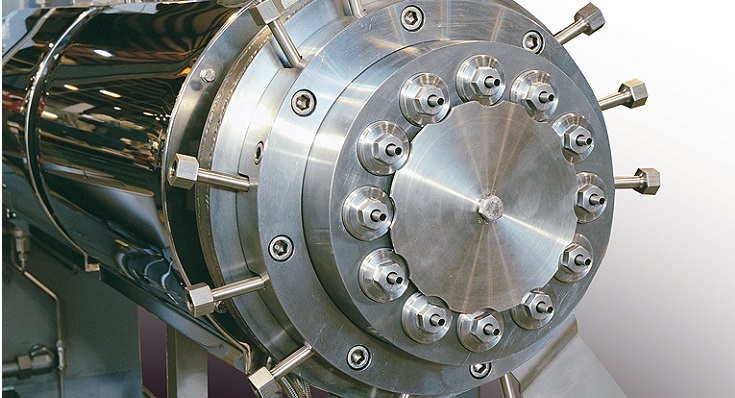 A variable-speed screw feeds the centre-filling to the pumps under positive pressure. 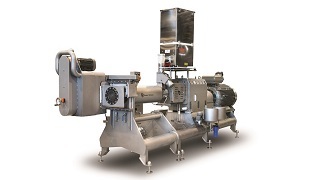 Each co-extrusion stream has its own feed pump to enable precise weight control. Cleaning is quick and easy with hygienically designed components. Stirrers, screw and manifold may be completely disassembled. 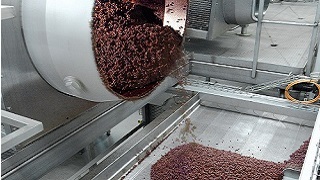 After leaving the die the product streams pass under a pressing roll to ensure they are the correct thickness and they are then separated and spaced by a series of fixed guides. The product streams pass between two rollers with multiple blades and are pinched along their lengths to form continuous strands of sealed pillow shapes. These are dried and broken into individual pieces. An air curtain prevents the product sticking to the blades. A variety of products and shapes can be produced using alternative sets of rolls. The rolls are easily removed and replaced for cleaning and product change. 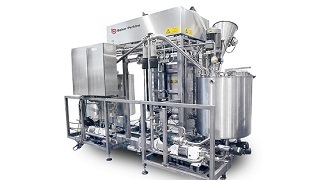 Expandable modular process lines for a wide variety of extruded and co-extruded breakfast cereals.